Abstract: PowerColor's X800 GTO is one of the new series of ATi X800 videocards, and it offers up quite a bevy of value for the mainstream consumers. ATi's X800 series VPU has been a successful workhorse over the course of its lifetime. As the curtain is about to be drawn on it, ATi are releasing one last blast of mainstream X800-variations. Rumor has it that all these new X800 videocards popping up are higher end X800 Pro/XL/XT/XT PE and X850 Pro/XT/XT PE cast offs; GPUs which for one reason or another didn't qualify for certification at that speed. The steps by which silicon processors of one specific core design are tested and graded is called "speed binning." Since speed binning is a fundamental fact of memory, processor, and graphics processor manufacturers, it's hardly a surprising route for ATi to follow, although it does sound rather ominous. The bright side of this manufacturing step is that consumers are sort of getting X800 goodness at a much lower cost. In fact, ATi's new X800 lineup competes very well against nVIDIA's GeForce 6600/GT series. These two Geforce GPUs are currently some of the best mid-level videocards out there. The PowerColor X800 GTO is one of the new series of ATi X800 videocards, and it offers up quite a bevy of value for the mainstream consumers. The ATI 'R430' core is built on the 0.11 micron manufacturing process, and contains some 160 million transistors. 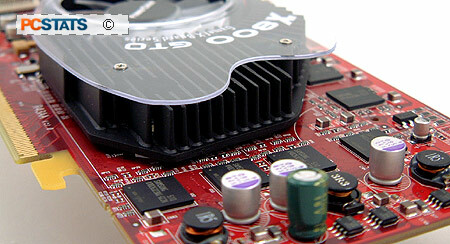 The PowerColor X800 GTO core speed is 400MHz and this version features 128MB DDR memory running along at 350MHz. 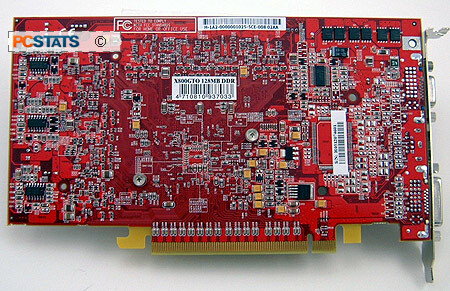 This mainstream PCI Express x16 videocard retails for about $137CDN ($120 US). Quick Installation Guide, CyberLink DVD Solution CD, Driver CD, DVI to Analog converter, S-Video to Composite Converter, Composite to Composite Cable, S-Video to S-Video Cable, Component Cable. The PowerColor X800 GTO videocard is a rather well rounded and its price well considering there are TV outputs (Y, Pb, Pr component, RCA composite, s-video) and dual monitor jacks for a little over $130 bucks. Furthermore, as you will see a bit later the PowerColor X800 GTO is a pretty decent DX9.0 gaming card too. The software package from Powercolor is postcard thin, but that can be overlooked with the cards economical price tag. All the necessary cables you'll need to take full advantage of the X800GTOs TV output options are included. 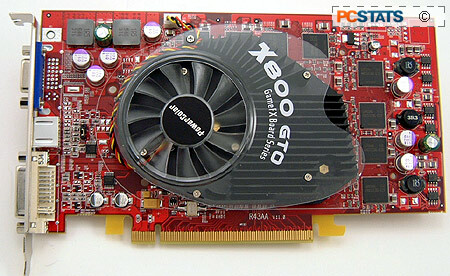 The PowerColor X800 GTO videocard is compact in length, so there won't be any problems squeezing it into a SFF PC. The ATI 'R430' core does not generate too much heat, judging by the single slot all-aluminum thermal solution. The DDR DRAM's do not require extra cooling, as you've no doubt noticed. The 128MB's worth of memory is only mildly warm to the touch when running 3D games. The 50mm fan is a bit on the noisy side. It's evident that the Powercolor X800 GTO videocard is collecting RPM signals from the fan, so it should have the capacity to throttle the speed to meet demand.... In our tests, the fan appeared to be running at 100% speed throughout. Those who are really bothered by noise can swap out the heatsink for something quieter as there are two holes around the X800 GTO GPU which will fit after market VGA cooling products. 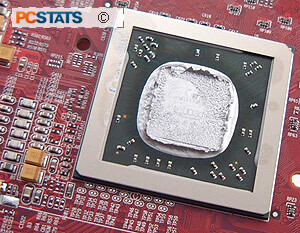 Often times motherboard and videocard manufacturers neglect to apply sufficient thermal paste on the base of heatsinks, and that has consequences when push comes to shove. PowerColor on the other hand went a little overboard applying 'silvery' thermal paste on the ATI 'R430' core. In this case it's just splattered all over the silicon. Folks, this is clearly an example of applying too much thermal paste; a third of that would have been sufficient. Technically speaking, the main constraint users are going to face when running a ATI X800 GTO class videocard is that this ATI core does not support Shader Model 3.0. While support for SM 3.0 is still thin in titles on store shelves, it's proving pretty popular and more than likely will be adopted as standard across the board by game developers. Games which take advantage of SM 3.0 see some pretty dramatic improvements to the quality of the 3D picture, although even high end cards like the Geforce 7800GTX and Radeon X1800 XT have a difficult time rendering with SM 3.0 effects. Did Someone Say Radeon X800 XL Core? The ATI 'R430' core found on the PowerColor X800 GTO videocard is the same 0.11 micron, 160 million transistor core used with Radeon X800 XL videocards. With the PowerColor card however, four rendering pipelines are disabled so the X800 GTO only has access to 12 pipelines instead of the full 16 available to the X800 XL. The indicators seem to be that the X800 GTO is 'hard locked', so software or videocard BIOS hacks will not be capable of re-enabling the remaining pipelines. This should also tell enthusiasts that the PowerColor X800 GTO will be a challenging card to overclock. The Radeon X800 XL VPU is notorious when it comes to pushing it past its stock speeds, and as we're just about to show you the PowerColor X800 GTO puts up quite a fight too!